Operation Keokuk (also known as “Keokuk mission”) is the third and final assault on the 101st Airborne Division on June 6, 1944 in Normandy. 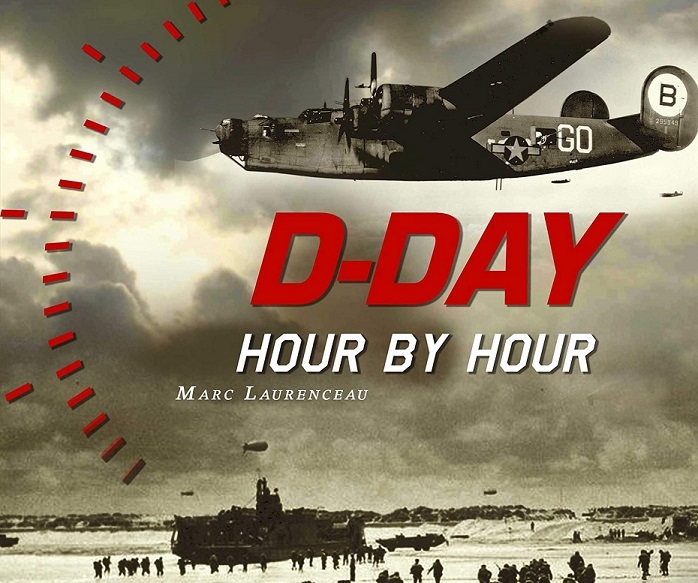 It operates chronologically after operation Albany (paratroopers of the three airborne regiments were dropped at 12:20 am) and operation Chicago (airtransport of reinforcements aboard 52 Waco gliders arriving at 4:00 am). The objective of Keokuk is to transport by glider, like Chicago, reinforcements in personnel and equipment for the benefit of the isolated parachutists in the Cotentin Peninsula. Indeed, they need heavy weapons, equipment and ammunition that could not be parachuted during Operation Albany. The landing of these new airtransported reinforcements is scheduled for Tuesday, June 6 at 9:00 pm on the landing zone (LZ) located on the north-western edge of Hiesville and which is co-located with drop zone “C” (the latter being for the 1st and 2nd battalions of the 506th Parachute Infantry Regiment and the 3rd battalion of the 501st Parachute Infantry Regiment). This landing zone has a triangular shape: it is one kilometer long and one and a half kilometers wide. It is located at the heart of the 101st Airborne Division area of responsability, which allows the three divisional dropzones to be strengthened in a minimum of time. Unlike the glider landing areas of the 6th Airborne Division northeast of Caen, LZ “E” is compartmentalized in several orchards and fields bordered by high hedges peculiar to the Norman landscape and by lines of trees reaching sometimes up to fifteen meters. However, fields in this sector are on average twice as extensive as in the rest of Cotentin Peninsula. 32 Horsa gliders and as many Dakota C-47 aircraft belonging to the 434th Troop Carrier Group (TCG) are engaged in the operation. 17 glider pilots belong to the 71st Transport Carrier Squadron (TCS), 15 to the 72nd TCS, 16 to the 73rd TCS and 16 to the 74th TCS. Some of them are however detached by the 315th and 438th TCG for the operation. For C-47 pilots, 13 report to the 72nd TCS, 12 to the 73rd TCS and 7 to the 74th TCS. The 157 airborne personnel belong to signal units, medical service and command companies. Gliders are also loaded with 40 vehicles, 19 tons of various equipment and 6 anti-tank guns. Alongside the Keokuk mission, the Elmira mission, which is the glider reinforcement of the 82nd Airborne Division planned on LZ “W”, takes place simultaneously. 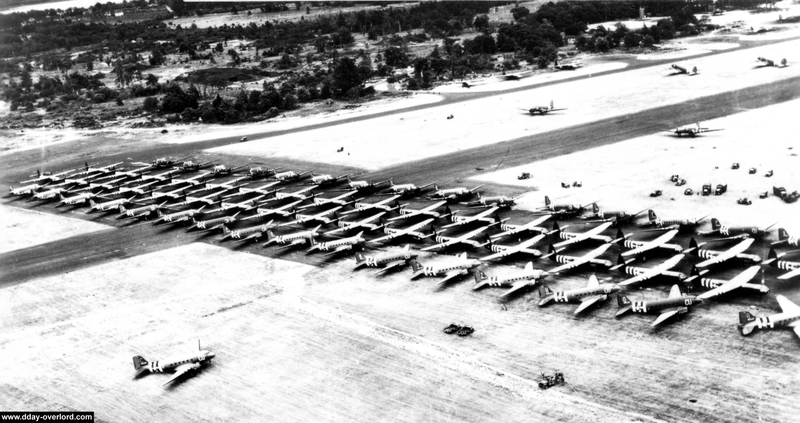 The first C-47s towing the Horsa gliders take off from the RAF Aldermaston Airfield in Britain on June 6, 1944 at 6:30 pm: the impressive formation of 64 flying aircraft forms the 29th serials of the 101st Airborne Division. The whole of the elements then flies over the peninsula of Portland and goes towards the islands Saint-Marcouf in order to avoid the German anti-aircraft artillery (the Flak) of the region of Cherbourg. The Dakota dropped gliders at 8:53 pm, seven minutes before the scheduled time, before turning back to England: the first of them landed at Aldermaston at 22:28. The gliders, dropped at 150 meters above sea level, land on LZ “E” marked by the pathfinders, using green smoke and a yellow “T” shaped paneling. Coverage is provided by personnel from the previous series (serial 27, mission Chicago) as well as by a platoon of the 3rd Battalion of the 501st Parachute Infantry Regiment (PIR) and divisional gunners, all of which under the responsibility of Colonel Sherburne. A detachment of glider pilots, commanded by Lieutenant Victor Warriner, strives to clear the LZ of obstacles and to cut the trees which may hinder the landing. The Germans are still numerous in LZ “E” region at the time of the landing: they act in small elements whose numbers vary from one team to one platoon. The bulk of the German resistance is located in Turqueville and Saint-Côme-du-Mont, these villages being three kilometers respectively northeast and southwest of the landing zone. A counter-attack is taking place against US positions when the Horsas hit the ground and some gliders find themselves isolated in the midst of German soldiers caught in a violent fire. Despite a complicated situation on LZ “E” due to the immediate presence of German soldiers, the C-47s having towed the gliders manage to carry out their mission without loss and without damage. The gliders deliver their precious cargo of men and materials to the paratroopers of the 101st Airborne Division before the first night in enemy occupied territory. Operation Keokuk, carried out in broad daylight, has a considerable psychological effect among both German and American troops: the Germans observe their opponents being reinforced by unconventional means thanks to their control of the aerial domain, isolating even more the units located between the litoral and the drop zones. Conversely, for the Americans, this demonstration of strength leads to an increase in morale before nightfall. 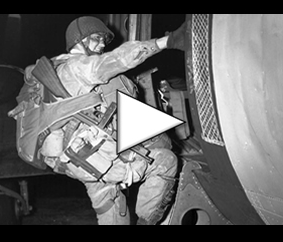 The 101st Airborne Division is further strengthened by the parachuting of new personnel the following day, June 7, 1944, starting at 6 am as part of operation Memphis.